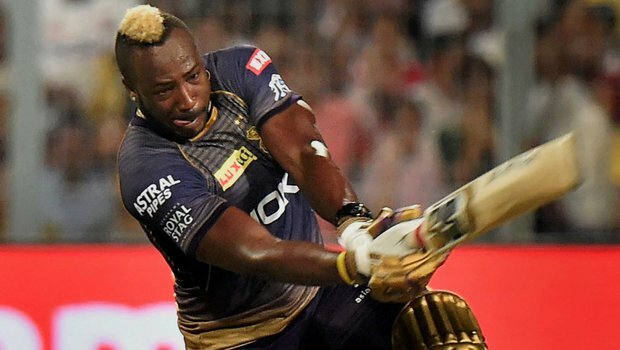 Chris Gayle may be regarded as one of the most destructive batsmen in the world, but Kolkata Knight Riders coach Jacques Kallis feels Andre Russell too “is right up there” with his fellow West Indian teammate when it comes to power-hitting abilities. Kallis’ statement came after Russell played an explosive 19-ball 49-run unbeaten knock to help KKR chase down Sunrisers Hyderabad’s 182-run target with six wickets in hand at the Eden Gardens here on Sunday. 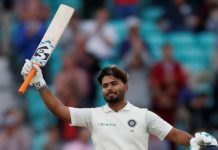 “Certainly in terms of finishing, he (Russell) is one of the most powerful hitters that I have seen,” Kallis told reporters on the sidelines of KKR’s optional practice session at the Jadavpur University Saltlake Campus ground. Asked to compare Russell with fellow Jamaican Gayle, the former South African all-rounder said: “He is certainly right up there. It’s a very different role when you are batting down the order at No 6, 7, 8. It’s difficult to compare new ball batters with old ball batters. Promoted to open the innings in place of Sunil Narine, who was nursing a finger injury, Nitish Rana set up the chase with a sublime 68 off 47 balls but the makeshift opener got out soon after the play resumed following a 12-minute power failure in one of the floodlights. At that stage 53 runs were needed from last three overs and the momentum had started to slide in favour of the visitors when Russell lit up Eden Gardens with his breezy knock that was studded with four sixes and as many boundaries. “As long as he was there and hitting the ball well, we always had a chance. It needed to be a special knock. Even Shubman (Gill) played well and finished it offm,” Kallis said, hailing the Indian youngster, who remained unbeaten on 18, for sealing the win with two sixes in the final over off Shakib-al-Hasan. Inquired about Narine’s finger injury, Kallis said the spinner should be fit by their next match against Kings XI Punjab on Wednesday. “I don’t think the injury is too bad. I think he will come through. It’s just a soft tissue and he is a hard guy, I am sure he will be fine,” he said. 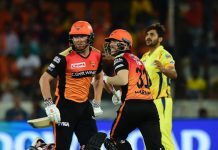 Having missed the last IPL for his involvement in the ball tampering scandal, Australia opener David Warner capped a fine comeback with a 53-ball 85 to propel Sunrisers to 181 for 3 after being asked to bat. Such was Warner’s assault that four of regular KKR bowlers, including the frontline spin duo of Sunil Narine (0/29 in three overs) and Kuldeep (0/18 in 2 overs) did not even bowl their full quota of four overs. But Kallis came in support of his bowling department. “As a whole we bowled pretty well. Our last four overs of death bowling went for 37 runs which is magnificent,” he pointed out. He also praised New Zealand pacer Lockie Ferguson, who made his debut for KKR. “He bowled at a tough time up front and also at the death, which was not easy especially at Eden Gardens,” Kallis said. Is Jennifer Winget gearing up for her digital debut? Ishita Dutta bags Ekta Kapoor Kasam Tere Pyaar Ki 2? Previous articleHindi Medium 2 to be retitled?